We’d like to take this chance to remind the public about our non-emergency SMOKE & CARBON MONOXIDE ALARM HOTLINE! 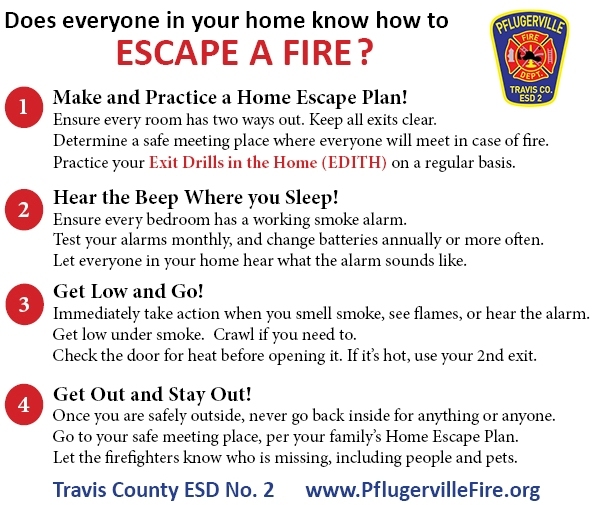 Many common questions about smoke and CO alarms are answered on our Frequently Asked Questions webpage But if you need assistance with your alarms or have any other questions, you are encouraged to leave a message on our Hotline at (512) 989-4516. This is a non-emergency line. Calls are usually returned by the next business day.